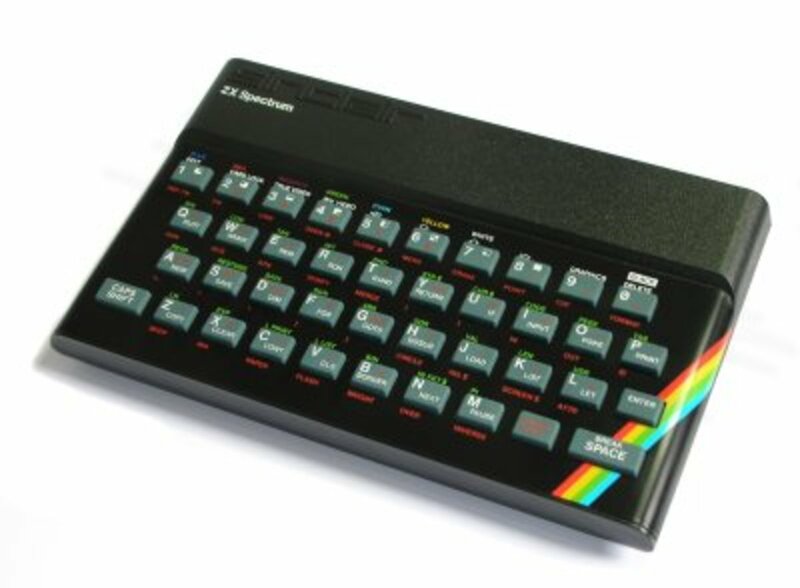 We are talking about the original ZX Spectrum here (one of our favourite retro computers) or the slightly upgraded Spectrum plus. We are not including the Spectrum 128, the plus 2 or the plus 3 as they were blessed with the decent three channel AY sound chip. Both machines (the Spectrum and the Spectrum plus) were blessed with a paltry 'single channel beeper' to generate sounds and music. 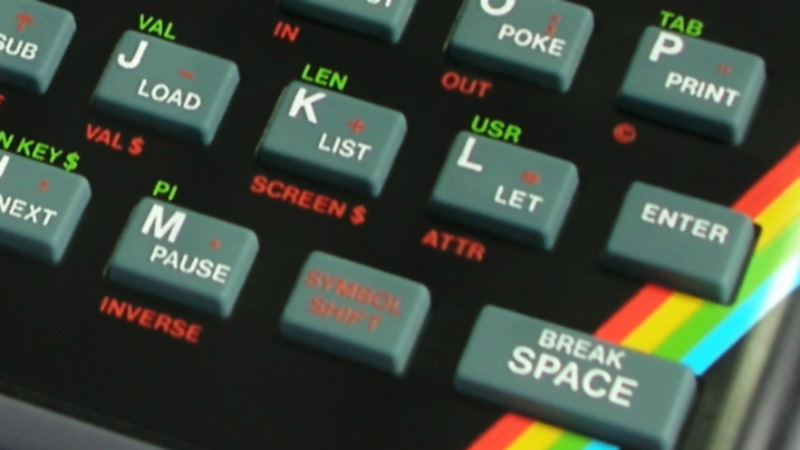 The beeper was installed by Sinclair to keep the production costs of the machine down - which really did help to make the ZX Spectrum a very affordable machine for many back in the day. Because of this single channel beeper owners of other machines (who more often than not had a decent sound chip) would laugh and point at the Spectrum's 'poor' sound. Well, clever developers managed to push the beeper way beyond it's capabilities and the good old Speccy actually managed to create some decent music. Hyperactive was a free game which was given away on the front cover of Spectrum games magazine Sinclair User. It is a sort of defender type arcade game which was developed by Spectrum programming legend Joffa Smith. For a free game it's not bad - and it was developed over a matter of only five days! Fahrenheit 3000 was a flick screen platform game (a tough one to complete I might add) from Perfection Software and is up there with the best of the platform genre. The menu music was the famous Toccatta and Fugue in D Minor - and it doesn't sound too bad at all! Tim Williams and Chris Jones did a great job with this game, but please note it is extremely tough! Cobra was a very humourous side scrolling (with some of the best scrolling you would see on a ZX Spectrum) platform game which featured superb 2-channel music. Drum beats overlayed by the melody tune was miraculous on the single channel beeper. It was quite revolutionary back then and quite rightly garnered a lot of praise. Technician Ted was one of the greatest flick screen platform games to grace the ZX Spectrum. It was polished, playable, slicky, addictive and technically impressive. I will not to mention how difficult it was to complete! Hewson managed to implement a nice version of The Blue Danube walz complete with vibrato and slide. Not bad at all and very easy on the ears. Another one from Hewson - the classic scrolling space based shoot em up. Hewson treated us to another polished and addictive game that was slick and professional. The title music for this took the 'synthesizer' style of music that was popular in many Spectrum games. It's quite Catchy. Ping Pong was a good conversion of the Konami arcade game by Doug Burns for Imagine Software. It is probably the only table tennis simulation that was released on the Spectrum. More 2 channel wizardry from Martin Galway and Jof made the games menu screen far more interesting. Note the tunes ending! Chronos was a good budget game released for the ZX Spectrum in 1987 by masters of the budget genre, Mastertronic. Not only did the game feature decent scrolling arcade action (just what we want from our Spectrum Games) it had some of the most interesting title music to ever grace the machine. The music to Chronos has an almost 'techno' quality to it - and really stretched the limitations of that humble beeper to the max! What a great game from the twilight years of the Speccy. 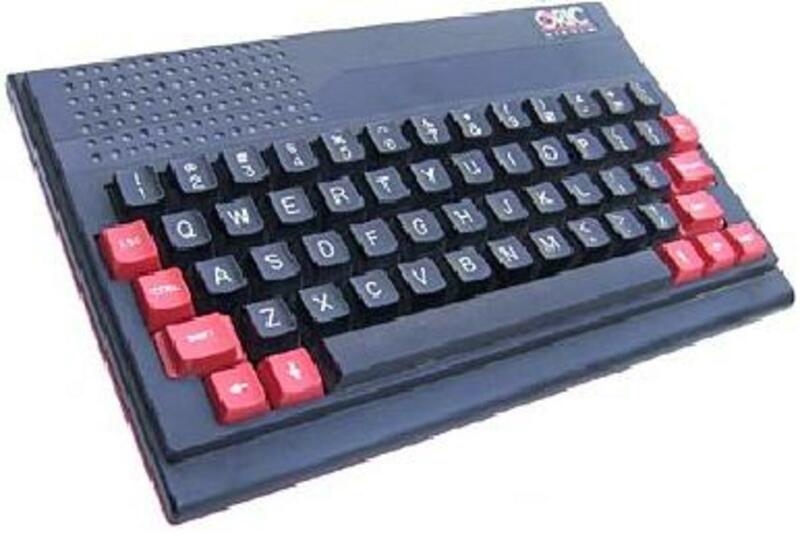 As the 8-bit to 16-bit transition was rolling along, this game graced just about every home computer available including the Amstrad CPC 464, ZX Spectrum, Commodore 64, Atari ST and Commodore Amiga. 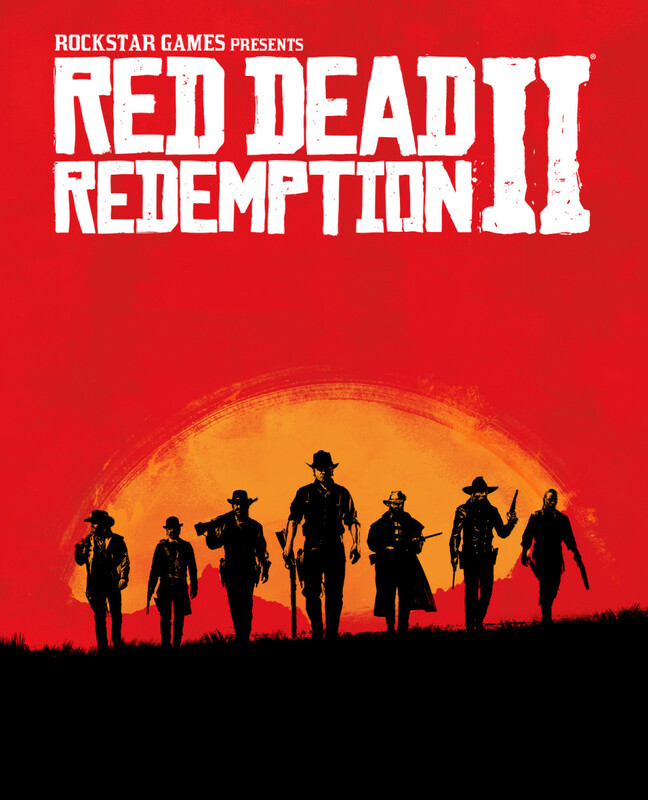 Taking the breakout genre and turning it into a 3D experience was a stroke of genious by the developers. Joe McAlby made a fine beeper version of the famous AY theme tune, and is one of my favourite pieces of game music ever. Once again musical genious Tim Follin created a superb soundtrack for the ZX Spectrum. Mastertronics 1987 release was a pretty much average game - but the title tune was nothing short of spectacular? Once again - how did he get the single channel beeper to do that? Awesome. Play the part of Guy Fawkes and try to blow up the house of commons! This was a game developed by Odin and released by Firebird Software back in 1988. It is a pretty standard platform affair that has some similarities to the classic budget game Booty. Go! Softwares 1988 release was a blatant copy of the arcade classic Rampage - and was a decent enough game. It did feature some mighty impressive title music though which had a superb medieval flavour to it. Once again superb programming of the single channel standard beeper. This beat em up arcade adventure from US Gold (and programmed by Ocean Software) was great fun. A very playable (if easy!) game that featured a great little intro tune. It's not the best beeper music around but it does manage to sound suitable oriental and sets you up for half an hour of beat em up action. Fairlight (a prelude) was a superb isometric 3D game developed by Bo Jangeborg. Released by The Edge in 1985, this was a game that received many deserved accolades and pushed the isometric gaming genre further forwards. Dave Perry coded the rather difficult yet quite playable Stainless Steel in 1986. Release by Mikro-Gen it was highly rated by Crash Magazine and went on to be reasonable hit. Like any good piece of stainless steel this title showed polish, as well as effort and attention to detail. The main menu music showed the same level of effort and was very nicely done indeed. Once the 16-bit machines really took over the home gaming front the less powerful 8-bit machines were slowly left behind. The music that would grace many Amiga games took over (with the likes of Alister Brimble, Paul Van Der Valk and Chris Hulsbeck to name but a few) where the 8-bit machines left off. Still, the way that clever developers pushed that single channel beeper to the limit lives on, and people are still finding new and interesting ways in which to make that single channel hardware sing. Amazing stuff. Hi Padders, thanks for the comment. I've added the Stainless Steel into music in for you! Yep some clever programming back in the 80's. Some of favourites are in this list. But Stainless Steel is missing. That was another great piece of Speccy music. Hey Quillmonkey - the music to Fairlight was indeed quite catchy.